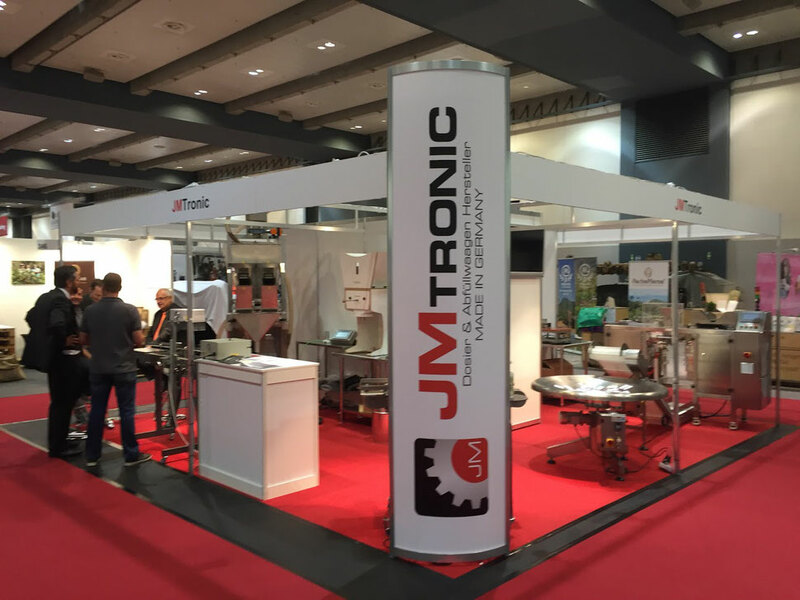 JMTronic provides manufactured solutions for all requirements in weighing and dosing. All granulate and powdered products can be processed, for example mill products, teas, spices, animal food, color pellets and many others. Our offer includes consulting, development and customization of solutions. Inhouse we develop and manufacture weighing and dosing Equipment. We complete this depending on your needs with hydraulic conveyors, Floor scales, pouch packaging machines, labeling machines, printers for the date of minimum durabilty, compressors and bag sealers. You get the right system for your company, your products and your filling quantities. We offer expert advice, installation on-site with intensive training as well as individual after sales Service. We use exclusively durable food certified materials and device control with industrial SIEMENS standard for the product parts. Our company is located in March-Buchholz, nearby the Black Forest City of Freiburg in Breisgau. So you could ideally combine a visit in our company with a trip in the beautiful surrounding.